On Saturday, January 21, Comcast NBCUniversal hosted their first ever 360 Virtual Reality Workshop in Park City during the Sundance International Film Festival opening weekend to provide hands-on virtual reality 360 video training for local 6th through 11th grade students. 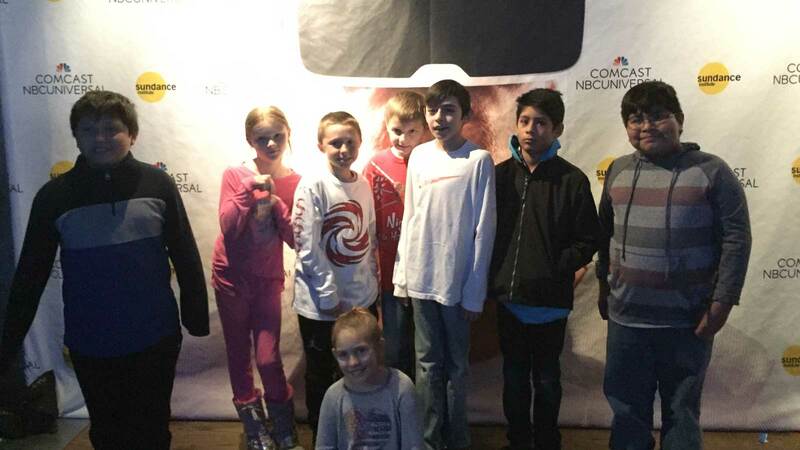 “Virtual reality technology is a way we can take field trips and experience the world…from our classrooms,” said a Salt Lake City student representing Weber Davis Boys & Girls Club. Approximately 50 youth from Comcast community partner organizations, such as Big Brothers Big Sisters of Utah, Centro de la Familia, Latinos in Action and Boys & Girls Clubs of Greater Salt Lake, participated in this workshop session designed to expose local youth to the film festival experience and provide a hands-on learning opportunity to increase digital arts and media design skills. One VR demonstration was from Wonder Buffalo, which portrayed a mother and child in the child’s bedroom. In the bedroom, there were glowing objects such as clothes, books, and toys. The VR participants had to identify all of glowing objects and “put them away” in the appropriate place. Wherever the item was put away was then turned into a comic book scene. The goal was to turn the whole room into a comic book scene. As the youth left the workshop, some were heard saying that this was one of the best field trips they had ever been on.